Its investment philosophy is focused on providing superior risk-adjusted returns, searching for the best investment opportunities and keeping a rigorous risk control. The entity distributes funds through agreements with financial institutions, mainly through SICAVs registered under the Luxembourg law: Parvest, BNP Paribas L1, BNP Paribas InstiCash, Parworld. PARVEST is the main SICAV of BNP Paribas Asset Management which includes a wide range of capabilities. With 25 years of professional experience and a broad sector recognition, Parvest has 40,960 million euros in assets under management and advisory (31/12/2016) and more than 100 compartments and it is registered in 33 countries. 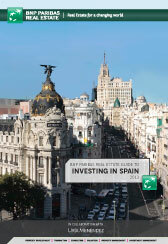 BNP Paribas Asset Management in Spain operates in Spain since 1987 and is based in Madrid. It has agreements with financial institutions, mainly private banks and asset managers, in addition to institutional investors, insurance companies, banks and large companies. The entity has 2,315 million euros under management. Around 3,000 employees in 35 countries and around 60 investment centres with 600 investment professionals offering one of the broadest and deepest ranges of solutions in the industry, BNP Paribas Asset Management is a recognized asset manager with 580 billion euros in assets under management and advisory.